A year of back-and-forth emailing between Massucco, a lawyer and part-time concert promoter, and VSO Executive Director Alan Jordan led to a site visit early this spring. 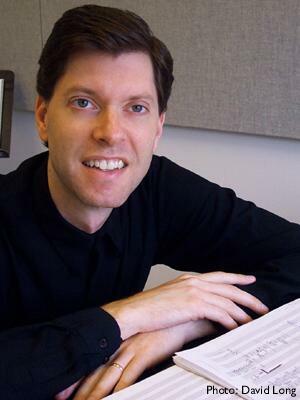 The centerpiece of the performance is the premiere of “Autumn Rhapsody,” a commissioned piece composed by Pierre Jalbert. Currently, Jalbert serves as an Associate Professor at Rice University, where he’s taught since 1996. The show began as a labor of love, but as it started to gel, Ray Massucco saw an opportunity to meld it with another big part of his community work, the Rockingham Free Public Library. He chaired the organization for many years, and recently stepped down to become secretary, and head up the library’s Centennial Committee. He realized the show corresponded almost perfectly with another important event in the town’s history. He’s faced significant challenges organizing such a large undertaking. For starters, there are 35 musicians to house and feed. There’s marketing for an event that’s worlds away from the “Roots on the River” Americana music festival he’s been staging since 2007, or the occasional shows he promotes at Boccelli’s on the Canal. Realizing that, under the best of circumstances, he’d only make back 60 percent of the show’s costs – that was when he most felt like the dog catching the car. Massucco has succeeded in courting underwriters for the show, “Angels” paying up to $500 a ticket to defray his expenses. He’s also sold many second-tier underwriter tickets, which include a pre-show reception with Pierre Jalbert and VSO conductor Jaime Laredo. Laredo will both conduct and play violin. Classical neophyte Massucco said, “I had no idea how famous he is everywhere else.” The Bolivian-born musical prodigy began his musical career at age five, and has recorded with Isaac Stern, Yo-Yo Ma, and Emanuel Ax, as well as collaborating with Glenn Gould.